Today, Apple held their yearly event to announce the latest iPhone devices where they announced the 5S and 5C. The iPhone 5S (16GB/32GB/64GB, $199/$299/$399 on contract or $649/$749/$849 off contract) is the newest update to the now discontinued iPhone 5 which was announced last year. Apple announced some new features for their high end device and the most impressive is the fingerprint reader which is housed in the home button. The idea behind this new feature is that you can unlock your phone or authorize iTunes purchases using your fingerprint instead of a password. The fingerprint reader can identify multiple fingerprints and at any angle so you won't have to line up your finger the same way every time like you normally do with most fingerprint readers. This sounds like a great feature but it will depend on how well it actually works. If it can read your finger the first time every and quickly, the feature will be the best feature on any mobile device. If it takes multiple attempts to get a reading or requires a perfectly lined up finger, most users will turn the feature off as it would be more time consuming than just typing a password. The other major feature for the iPhone 5S announced is the new camera software. If you've seen any of the Nokia Lumia commercials (Youtube) over the last few months, you can get the idea of the features of the iPhone 5S camera. Action shots, best picture, low light enhancements are all included. Apple even talked about including a better sensor creating something similar to the HTC One's "ultra pixels". 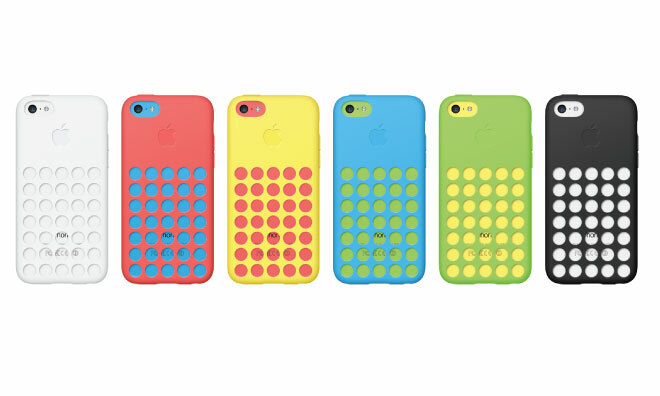 The other phone that was announced today was the iPhone 5C (16GB/32GB, $99/$199 on contract or $549/$649 off contract). This is Apple's low cost option that will bring most of the new features of iOS7 to a lower cost handset. This phone is the one that actually replaces the iPhone 5 now that it has been discontinued. I assume that the 5C will be cheaper to produce than the 5 and allow Apple to maintain high profit margins which is why the iPhone 5 is no longer around. The thing about this "low cost" option is that it really isn't all that "low cost". On and off contract the phone costs only $100 less than the 5S which over the course of two years is very minimal. For that $100 savings you get a slower processor, smaller storage, and none of the new camera features. As developers update their apps to take advantage of the new A7 processor in the 5S, the apps will become less stable for the older A6 processor which is in the 5C and iPhone 5. Will the average user notice? Probably not. But your "new" 5C won't be able to take advantage of the latest and greatest enhancements for many apps. I said that the $100 difference is minimal because if you pay $100 per month for your phone, over the course of two years you will have paid $2,400 for service. Now include the cost of the handset and you are talking about $2,500 or $2,600 over the course of two years for the 16GB models. Is that difference worth buying what amounts to a year old phone? Probably not. If you were to purchase the phones outright on Verizon, AT&T and Sprint your cell phone plan stays the same except now you've paid over $3,000 for the same device. On T-Mobile, you would be able to save about $20/month but you will still end up paying around $2,400/$2,500 over two years. So where are the savings on this "low cost" model? 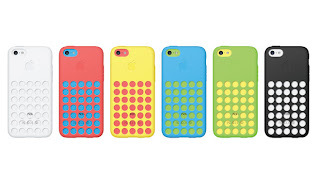 The truth is, Apple can produce a plastic iPhone 5C for less than it would cost to produce a metal iPhone 5. The cost savings is on Apple's end, not the consumers. As a consumer, would you rather purchase a $250 Nexus 4 off contract or a $549 Apple iPhone 5C off contract? If you're a parent buying a phone for your kid that you know they will lose or break within six months which is the better choice? Other announcements made at the event are iOS7 that will be available on 18 September, iTunes Radio which is just another streaming radio service, free iWorks, iMovie and iPhoto with new purchase of new iOS devices and cases for both the 5S & 5C phones. iTunes Radio is the least impressive of the "other" announcements. This is simply another streaming music service that joins the 10 or so others that are already on the market. I don't see many users switching from a service they already use like Pandora, Slacker, iHeart, Spotify, or Jango in which they already have accounts and playlists setup and have the ability to use on Android, Windows Phone, iOS, Windows and Mac just to use a service that is iOS and Mac only. Even Microsoft announced today (I'm sure to steal some thunder from Apple) that Xbox Music is now cross platform and available on Windows, Windows Phone, Android, iOS, and the web. Sure, many people using iTunes or iOS will try out the service but I don't think they'll stick around long. Apple will get to announce how they have the fastest growing music service but if people aren't using the service for more than 30 minutes to an hour, they aren't real users. Real users probably listen to their preferred streaming music service 50 to 100 hours per month so unless Apple can claim users like that, it will be a bunch of marketing hot air. In summary, Apple's announcement today was no surprise to anyone. 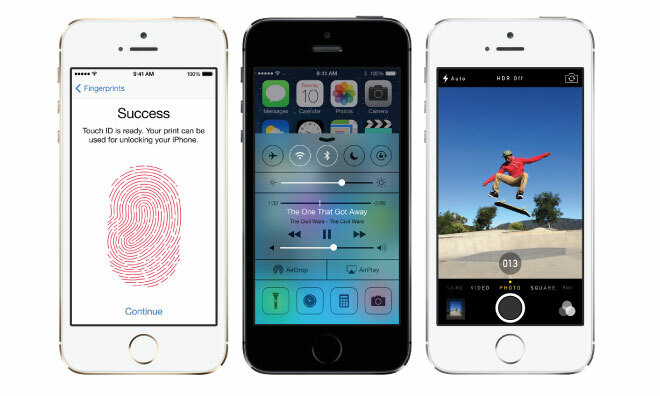 Every feature for iOS7 and both the iPhone 5S and 5C were leaked months in advance. Everything from the names, colors (now even in ugly gold), fingerprint reader and discontinuing the iPhone 5 were known by anyone paying attention to Apple over the last few months. The only impressive feature is the fingerprint reader and that is only impressive if it works flawlessly.